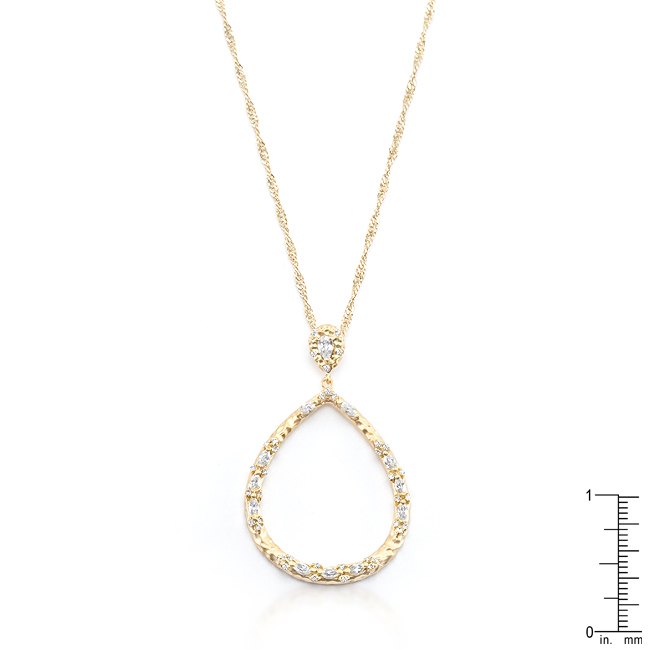 Glimmering specks of cubic zirconia play up our simple Golden Organic cubic zirconia Drop Necklace. 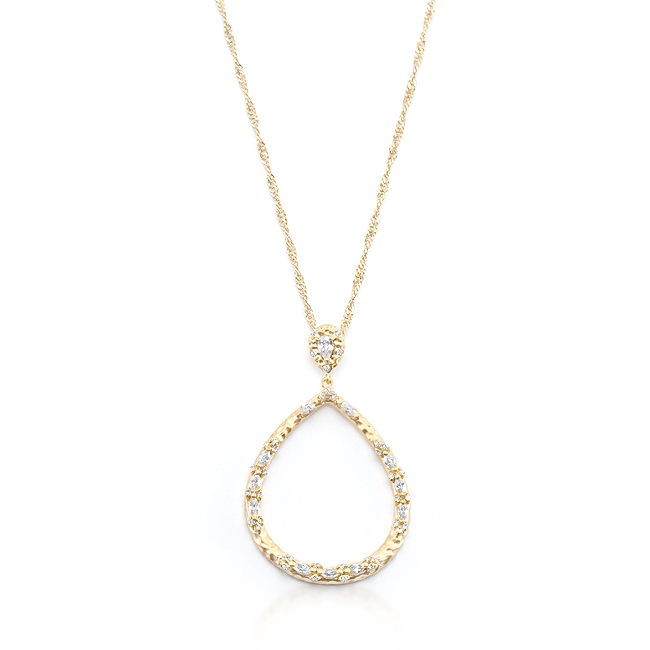 Fashioned in matte gold tones and organic imperfections it's beautifully unearthly. 18k plated rose gold is achieved using an electroplating process that coats the item with heavy layers of 18k rose gold and color-treated to display a perfect rose color.